Looking for a trustworthy plumber in Lake Forest, CA? Look no further! Matt Graham at Graham Plumbing & Drain Cleaning is a 3rd generation master plumber with more than 20 years of plumbing experience. Matt started Graham Plumbing so he could serve Orange County with honest, friendly, professional plumbing service. Read our reviews from local residential and commercial clients in Lake Forest, CA to see why you should call us first. Repair section of leaking pipe in bathroom. Installation of the following items - 1) 50 gallon water heater with kit. 2) 1 - Shower valve 3) 2 - Shower / Tub valves Includes parts, labor and materials. On recent call out for slow drain and faucet with low pressure, found the following issues. 1) Faucet with low water pressure. Replace faucet in men's restroom. Slab leak location at residential home. Removed and replaced two broken lav faucets in men's restroom with new Moen faucets. Includes parts, materials and labor. Cable and clear floor drain in wash room. 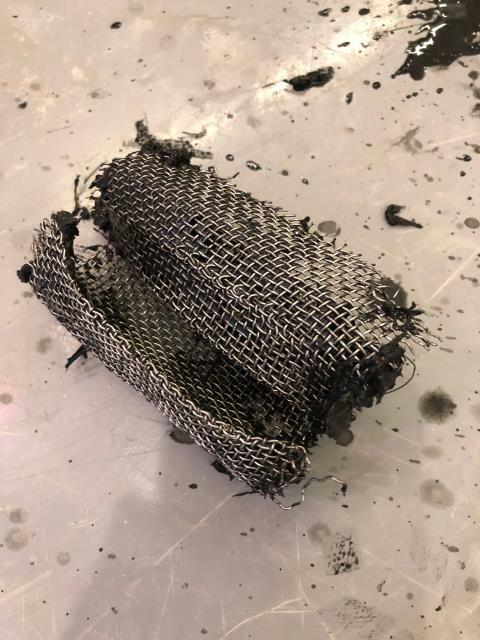 Removed vitamin waste and wire screen mesh. Cable and clear floor drain in was room. Removed vitamin waste and wire screen mesh. Cleared drain under three compartment sink for local business. Hydro-Jetted drain line and cleared waste build up and restored drainage to full capacity. Cameras line after Hydro-Jetting to confirm clean and check integrity of line. 1.) Inspection and Leak Detection. 2.) Re-route water line from laundry manifold overhead connecting to existing manifold at water heater. Locate cause of running water in wall. Found two pin-hole leak in bedroom wall. Cut out bad sections of pipe and replace with new type-L copper to repair leaks. Cabled and cleared mop sink of vitamin waste. Cabled and cleared men's restroom floor drain. 1.) Remove Garbage Disposal and existing two part waste. Cabled and cleared stoppage. 2.) Found existing two part waste rotted and leaking. Replace two part waste and P-trap assembly to wall connection. Removed and replaced two 1" sweat Hose Bibs. One on water main. One on irrigation. Remove and replace 80 gallon commercial water heater for business customer in Foothill Ranch. Replace all shut off valves. Reconnect recirculating pump.